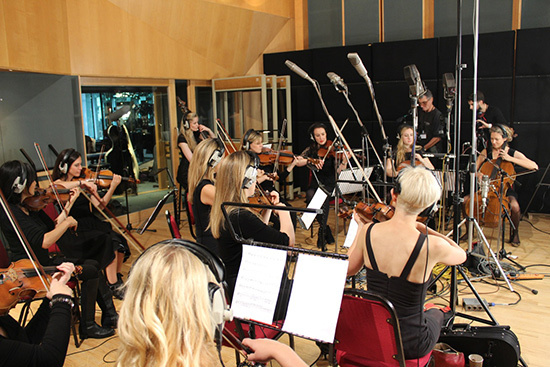 Rosie Danvers and Wired Strings have recorded a track for the cancer charity ‘One For the Boys’, of which Samuel L. Jackson is chairman. The song, a cover of ‘Say Something’ by A Great Big World, was produced by Jonathan Quarmby and recorded at Abbey Road studios. It will feature guest vocals by a host of celebrity singers and set for release this Christmas. Rosie Danvers with Producer Jonathan Quarmby at Abbey Road Studios. 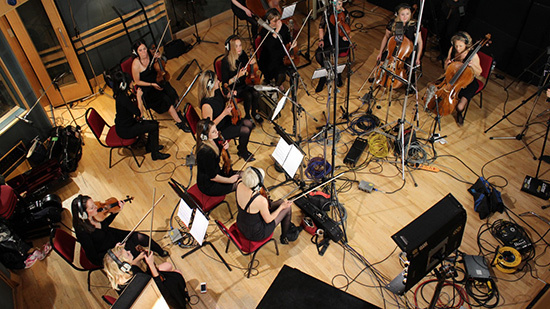 Wired Strings recording ‘Say Something’ at Abbey Road Studios, September, 2014.